From the author of the Booker Prize winning Paddy Clarke Ha Ha Ha, a bold, haunting novel about the uncertainty of memory and how we contend with the past. Just moved into a new apartment, alone for the first time in years, Victor Forde goes every evening to Donnelly's for a pint... read full description below. From the author of the Booker Prize winning Paddy Clarke Ha Ha Ha, a bold, haunting novel about the uncertainty of memory and how we contend with the past. Just moved into a new apartment, alone for the first time in years, Victor Forde goes every evening to Donnelly's for a pint, a slow one. One evening his drink is interrupted. A man in shorts and a pink shirt comes over and sits down. He seems to know Victor's name and to remember him from secondary school. His name is Fitzpatrick. Victor dislikes him on sight, dislikes, too, the memories that Fitzpatrick stirs up of five years being taught by the Christian Brothers. He prompts other memories--of Rachel, his beautiful wife who became a celebrity, and of Victor's own small claim to fame, as the man who would say the unsayable on the radio. But it's the memories of school, and of one particular brother, that Victor cannot control and which eventually threaten to destroy his sanity. 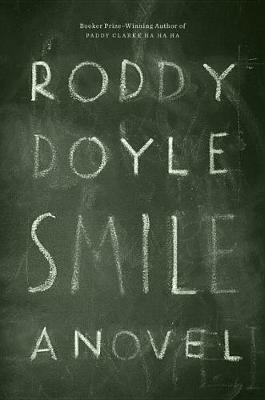 Smile has all the features for which Roddy Doyle has become famous: the razor-sharp dialogue, the humor, the superb evocation of adolescence, but this is a novel unlike any he has written before. When you finish the last page you will have been challenged to reevaluate everything you think you remember so clearly. Roddy Doyle was born in Dublin in 1958. He is the author of ten acclaimed novels, including The Commitments, The Van (a finalist for the Booker Prize), Paddy Clark Ha Ha Ha (winner of the Booker Prize), The Woman Who Walked Into Doors, A Star Called Henry, and, most recently, The Guts. Doyle has also written two collections of stories, and several works for children and young adults. He lives in Dublin.